Phantom midge (Chaoborus sp.) 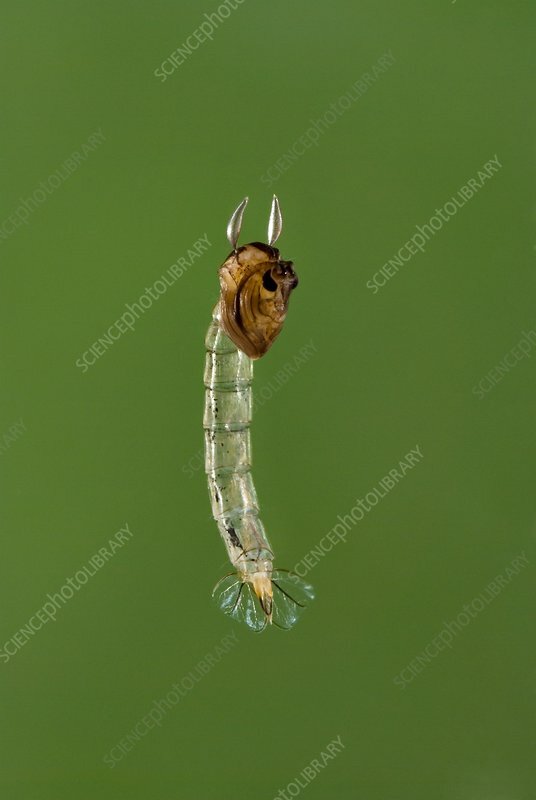 larva in water. The larvae of these insects are aquatic and pupate underwater. They are common in lakes all over the world and can be up to 2 centimetres in length. Photographed in Poland.